Today is the day we have been eagerly waiting for. This is the day that my dear cousin and her husband arrive. Today they officially become Oregon citizens. At last. They will stay with us for a few days until their new home is ready for them. The moving truck arrives tomorrow afternoon with their furniture and things from California. It will be unloaded into the garage of their new home just a few miles from ours. Last month I shared here about their pending move. Now that day has arrived! It's still like a dream to me. I may have to pinch myself to see if it's real. Over the past few weeks they have accomplished a lot of things. What seemed impossible to do before moving day arrived has been done. God has put all the details in place - and worked some miracles - for them. My cousin, Mrs. C., told me on the phone that she has a plan for moving into her new home. First, the beds will be made; then the kitchen and the bathroom will be unpacked and made ready for everyday life. And what will she do next? Put up the Christmas tree and decorate the house for Christmas! She has her priorities, you know. Since Mrs. C. and I will be involved in a lot of escapades to tell you about it only seems right that I introduce her. Here is a picture of the two of us in our best clothes - two ladies who love each other dearly and have plans galore for the coming days. I know they will love it here. Morning, Adrienne! Oh, how precious you and your cousin are in this photo!! That's wonderful she and her hubby will be moving so close to you. You're very kind to house them until they're ready to get settled in their home. Now, I must admit, I love a gal with her priorities in order. What a cute picture of you two! It's wonderful to have someone you love so much move close to you! I'm sure you two will have loads of escapades! I know you will be having fun with her there close by. Adrienne, I am so happy for you and your dear cousin. How wonderful to have someone you love so much near. I can't wait to read about the special times you share. I'm so excited for you! What a wonderful treat to have a beloved cousin moving so close to you. I can just imagine all the fun you two are going to have. I love that picture. So cute! You must be thrilled. 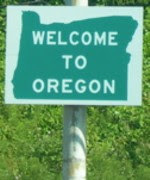 I have never been to Oregon but have always wanted to visit. One of these years hubby and I will get there. We've been to many of the states but not the northwest yet. What a blessing! I'll be praying that the transition will continue to go well as you share these wonderful and exciting moments together! Loved the sweet picture,Adrienne! Looks like this will be fun and interesting. Your Thanksgiving sounded wonderful and the table looked pretty. Liked the colours. Good morning, Adrienne! Cute picture, and wonderful memories.... I had to tell you we were in Portland this past weekend, and I thought about you while sitting at the Pioneer Courthouse Square waiting for the Christmas tree to light up... ;) What an event that was! It was raining a little bit and it was cool, but what an enchanted evening and occasion.... I’m so glad we just happened to be there at the right moment so we could share the Christmas spirit with the Portlanders... ;) Not a single rose at the Rose Garden, but we really enjoyed visiting the Pittock Mansion... what an enchanted place, and gardens... can you recognize the pic on my blog banner???? Tee-hee! I'm thrilled for you, Adrienne. What fun and endearing times are ahead! How precious is our Lord for fitting this puzzle piece just right. oh, Adrienne...this is the most adorable photo. I know you are just beside yourself for her to be close again. And, visa-versa, as well. I love the picture! I am happy for you! I wish that I had a cousin that lived just a few miles from me.